Many people who have recovered from anorexia nervosa (AN) continue to exhibit anxiety, depression, moodiness, perfectionism, or other psychological issues. In fact, the anxious personality style that persists after full recovery is the norm, rather than the exception. Walter Kaye’s research shows that 60-70% of people with histories of AN have anxious, obsessive, perfectionistic, rigid, harm-avoidant personality traits that were present before AN and persist after recovery. These traits are largely genetic and neurobiological in origin. Individuals who have experienced AN, regardless of how long it has been since their most recent episode, and regardless of how fully recovered they are, need to be mindful of managing their underlying predisposition. For those with histories of AN, having an anxious, obsessive, perfectionistic personality style combined with a biologically-driven tendency to restrict food creates the perfect storm for relapse. Even if anorexia nervosa never returns, these individuals are at greater risk of developing bulimia nervosa and of experiencing depression, anxiety, and related disorders. You may be “weight-restored” according to your therapist, nutritionist, or doctor. But what exactly does that mean? Are you really at YOUR ideal body weight? The vast majority of doctors, nutritionists, and therapists tend to set target weights too low. There are several reasons for this: overblown concern about the obesity epidemic, their own personal beliefs about the value of thinness, ignorance of the research on appropriate target weight and recovery from eating disorders, and concern about upsetting patients who negotiate for lower weights. Whatever their motive, the common practice of setting target weights too low perpetuates the illness, increases risk of relapse, and holds most patients in a state of semi-recovery. In order to recover fully, you need to get to YOUR body’s ideal weight, which has nothing to do with what’s “on the charts.” If you have a biological predisposition to AN, being even 5 pounds below YOUR optimal weight can trigger symptoms of anxiety, obsessiveness, depression, and irritability. The best way to determine your accurate target weight is to obtain copies of your historic growth charts and schedule an appointment with a physician who is knowledgeable about eating disorders. Your physician can examine your historic growth charts and use them to make an educated guess of where your weight would be if you had never developed an eating disorder. Your ideal weight is not a “magic number;” it is a range of approximately 5-10 pounds at which your body feels good and functions optimally. If you are at your ideal weight, you should be getting regular menstrual periods without taking birth control pills. Your body will gravitate towards your ideal weight range when you are eating normally without restriction and exercising regularly. Research has shown that the vast majority of young adults with AN must maintain a body mass index (BMI) of at least 20 in order for their brain and body to recover fully. Many people require higher BMI’s than that, depending on their bone structure, muscularity, build, and genetics. Many parents find that their child’s last lingering psychological symptoms disappear she gains those last five pounds and returns to her historic growth curve. Co-morbid diagnoses which are made while a patient is underweight, re-feeding, or actively bingeing and purging are notoriously inaccurate. Most acutely ill patients with eating disorders exhibit symptoms of major depression, anxiety disorders, and obsessive-compulsive disorder, but in many cases these symptoms are the direct effects of a malnourished, chaotically nourished, or re-feeding brain. Giving a false diagnosis is worthless at best and counterproductive at worst. It does not make sense, medically or practically or financially, to provide a patient with a medication or a psychological treatment when her symptoms are best addressed through full nutrition. However, not all psychological symptoms disappear with weight restoration. The truth is that many people with a history of AN have co-morbid psychological disorders which exist independently of their eating disorder. The most common disorders which co-occur with AN are OCD, social anxiety disorder, generalized anxiety disorder, major depression, ADHD, and Asperger’s syndrome. Every eating disorder patient should be evaluated for co-morbid disorders after they have reached and maintained their ideal body weight for several months. If you are diagnosed with another psychological disorder, it is important to get treatment for it. Evidence-based psychological treatments, such as Cognitive Behavioral Therapy, Dialectical-Behavior Therapy, and Acceptance and Commitment Therapy, are helpful in treating a wide variety of psychological problems. Psychotropic medication may also be included as an adjunct to psychological treatment. Unfortunately, with eating disorders, relapse is the norm rather than the exception. Therefore, relapse prevention planning is crucial. The best relapse prevention plans are those that involve not only the patient but also her friends, family, and clinicians. Central to developing a relapse prevention plan is a thorough understanding of the brain-disease model of mental illness. If you were therapized to believe that your eating disorder was the result of striving to be thin, a need for control, or family dysfunction, you are in for a rude awakening several years from now when relapse rears its ugly head. The problem with these myths about etiology (in addition to being false) is that they presume that, once “underling issues” have been addressed, relapse is no longer a possibility. Not true. Not by a long shot. I have worked with many teenagers who have sworn that they would never develop AN again because they will never go on a diet. This is great, but the problem is that AN can creep back into a person’s life if she becomes stressed or malnourished for any reason. A nasty breakup, a move across the country, a stressful job, a bout with the stomach flu, an episode of depression, or a major surgery – any of these situations can trigger a relapse. One need not intentionally diet in order to fall back into AN. A.) In collaboration with your loved ones and clinicians, generate a written list of early signs of relapse. Some of these signs may first be noticeable to those around you, before you even realize that there is a problem. This is why it is important to have other people involved. B.) Decide what you will do to cope with any signs of impending relapse so that you can nip them in the bud before they become problematic. Also, decide what your loved ones can do to help if they notice these signs. C.)	Write out the entire plan, including signs of relapse and exactly what to do if said signs occur. Distribute copies of this plan to your family members, closest friends, and clinicians. We cannot change our basic personality style. Some people are simply “wired” to be more anxious, and that’s not inherently a bad thing. We’ve evolved this way for good reason. Many people who are very successful in life have anxious personality styles – their drive, conscientiousness, and attention to detail allow them to excel in school, sports, and various careers. Every personality style has its benefits and its liabilities. People who are disorganized and scatterbrained and have difficulty learning in traditional ways can be extremely gifted artists. People with argumentative natures or short tempers can channel that passion into a career in law, or become champion boxers. People with ADHD may not be well-suited for a dull desk job that requires hours of concentration, but thrive in an active job that requires multitasking, creativity, and interacting with many different people. Become aware of what your personality style is and how it manifests. Accept and embrace your natural temperament. Identify the ways in which your personality style benefits you or others, and structure your life accordingly. Identify the ways in which your personality style works against you, or prevents you from achieving your goals, or interferes with your wellbeing. Do whatever you can to learn to manage these vulnerabilities. People with anxious personality styles do best when they have plenty of sleep (8-9 hours per night) and plenty of exercise (approximately 1 hour per day). In addition to cardiovascular exercise to relieve pent-up stress and anxiety, I recommend incorporating a regular yoga practice into your weekly routine to help release tension and develop mind-body awareness. Those with anxious personalities should limit caffeine to one cup per day and eat balanced meals throughout the day to stabilize blood sugar, which in turn helps to stabilize mood. People who are prone to stress benefit greatly from having some personal down time each day to relax and decompress. Bubble baths, reading for pleasure, meditation, and journaling are all good ways to unwind. If you are prone to anxiety, do whatever you can to simplify your life. Eliminate unnecessary commitments. Don’t let yourself get overscheduled. Learn to say no! Finally, develop skills to cope with anxiety. Self-help books such as The Anxiety and Phobia Workbook and The Relaxation and Stress Reduction Workbook are helpful for those who are motivated to work through their issues on their own. Structured, evidence-based therapies, such as Cognitive Behavioral Therapy and Acceptance and Commitment Therapy, focus on building skills to tackle the every day challenges of life. 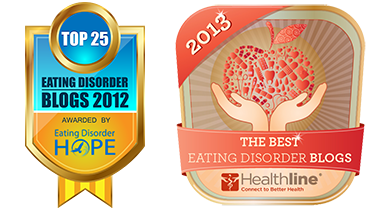 Eating disorders are completely disruptive to every facet of your life. They cause conflict and tension within your family; they alienate you from your friends; they cause you to miss school or work while you seek treatment; they wreck your body and ravage your brain; they change your fundamental view of who you are and what you want from life. It may take many months or even years to recover from all this damage. Once the storm has passed, it is very important for you to rebuild your relationships with family members and friends, or to make new friends if your old ones are no longer in the picture. You may need to get involved in different activities if your old ones were triggering your disorder. You may discover that all of your goals and strivings were not yours at all, but ED’s. Your new life, post-recovery, may feel foreign, forced, or fake. This experience can be disillusioning, confusing, and deflating. Now is the time to ask yourself: Who are you, now that ED has been kicked to the curb? What are you about? What do you want from life? If you have recovered from your eating disorder and addressed steps 1-4 listed above, you are ready to answer these questions genuinely and embark on your new, healthy, meaningful, fulfilling life. This entry was posted on Monday, November 8th, 2010 at 4:44 pm	and is filed under Eating Disorders. You can follow any responses to this entry through the RSS 2.0 feed. Both comments and pings are currently closed. Another excellent post, Dr. Ravin! There is a wealth of information in there to help people prevent relapse. I might add to your #3, The Relapse Prevention Plan, that life events that most people look forward to and expect to have in their lives can be huge stressors that can trigger another bout with AN. They include graduating college, new jobs, marriage, moving cities, childbirth and being a new parent. Certainly most people will also suffer the death of a loved-one at some point in their lives, and serious illness and accidents can happen to anyone. It is best for all of us, and especially those prone to manifesting EDs, to be as strong as possible to prevent further illness. My recovered daughter, who swears she ‘is never going back there again’, nevertheless had a mini-relapse this summer. She climbed Mount Rainier with her dad and they didn’t stop for snacks during the summit push: 6 hours of hard aerobic workout without caloric replacement. Yes, she ate at the summit, but it was too late. We saw restricting behavior for the next few days–something we had not seen for 21 months. We also saw a return to her ’emotional anorexia’–isolating behaviors, anger and avoidance. She was able to self-correct on the eating issues but it took intervention from us, her parents, to get her back on her emotional feet. It illustrated to me how very little it takes to trigger a relapse. She was rather indignant that this could be considered a relapse because she didn’t mean to restrict on the mountain–Dad just didn’t stop long enough for snacks (note to dad: what were you thinking?!). The truth about anorexia is that there does not need to be ‘intention’ for the illness to progress. It doesn’t require that the sufferer make a decision to (diet, restrict, become vegetarian, exercise too much, eat ‘healthy’, whatever). It doesn’t ask the sufferer’s permission. And it doesn’t even take weight loss to trigger it! My daughter didn’t lose any weight that day…but had we not stepped back in, I believe the symptoms might have continued to increase until she was restricting food again. The danger is that the organ most needed for relapse prevention is the one that is most compromised–the brain of the sufferer. Your tips on relapse prevention–sharing with friends and family–are excellent. Often we can see things from the outside that, in the mind of the sufferer, are justified (I’m just not that hungry, I ate earlier, But I like working out, I just feel like being alone, etc). Thanks for another excellent post!! This is an ecellent blog. My adughter is currently in treatment at Monte Nido in California and we have been through “hell” for the past six months. One treatment center she was at for three months was totally bogus and allowed her to continue to restrict and purge. Am looking for lawyer to see if we have a case. Any suggestions? It was in the Chicago area. Please put me on your list to get this blog. This is for a previous post, Rethinking Residential Treatment, that is very timely for me to read. Having listened (regrettably) to my daughter’s dietitian; she took over the weekly weighing. After noticing that it looked like my daughter had lost weight, I finally weighed her and, of course, she had – six pounds! My daughter had been “padding” as so many girls do. The dietitian now recommends – due to my daughter’s low weight (75 pounds at 4 foot 11 1/2 inches) and deceit – Remuda Ranch (a residential facility). We have started Maudsley FBT but I think hyper-metabolism is occuring as she actually lost a pound the first week; scary. We’re upping the calories, and she’s eating them through tears (she, thankfully, have never binged and we do monitor this) but I’m concerned that we won’t be able to stabilize her weight. I’m looking at the Kartini Clinic in Portland, Oregon as a back-up plan. It looks family-based and has a day treatment. Do you have any thoughts on that facility? Thanks so much!!! Your post says it all! The likelihood of relapse is always great even after days addiction treatment. I have seen for myself the efficacy of building a support system to thwart the chances of relapse to destroy somebody’s effort and freedom after overcoming AN. I admire the valuable information you provide in your articles. I’ll bookmark your blog and also have my children check up right here typically. I’m quite positive they’ll learn lots of new things right here than anyone else! Thank you for such a comprehensive write-up about recovery and preventing relapse. I am curious about the idea of Prozac in the Walter Kaye link. We are currently not using an SSRI since they don’t seem to be effective when the individual is low in weight, but I’m wondering at what point it would be advantageous to begin. I do see that my daughter is an anxious personality and has been for years and years long before the ED. Do you have any guidelines for this? Thank you! Research suggests that SSRI’s are not effective in ED patients who are underweight or actively restricting. However, there is some evidence suggesting that Prozac and other SSRI’s are helpful in treating anxiety, OCD, and depression in weight-restored ED patients. In my practice, I typically do not refer a patient for a medication evaluation with a psychiatrist until they have reached their ideal body weight. If a patient has reached 100% of ideal body weight and continues to show signs of depression, anxiety, or OCD, then I will refer for a psychiatric consult. SSRI’s are often helpful in these cases. On the other hand, for some patients, the anxiety, depression and OCD-type symptoms are actually remnants of the malnourishment and the neurological changes of re-feeding. For these patients, these symptoms abate with therapy and brain healing, which often takes months after weight restoration. If a patient has been weight restored and free of ED behaviors for 6-12 months, and continues to show these symptoms, it is definitely time to consider medication. If there is a family history of mood or anxiety disorders, or if the patient has a history of mood or anxiety disorders which pre-dates the ED, then medication should be considered as soon as the patient is weight-restored. In these cases, it is more likely that the anxious / depressive symptoms stem from a co-morbid disorder, rather than simply being remnants of ED. Please bear in mind, though, that most psychiatrists do not have up-to-date training in EDs. They do not understand these issues because they aren’t aware of the recent science. Thus, most psychiatrists will prescribe psychotropic meds to underweight ED patients, despite the fact that they won’t work, and despite the fact that many of these symptoms will abate with sustained full nutrition. I’m so glad you’ve started Maudsley FBT – this method provides you with the tools to help your child recover and stay well. If you have the guidance and support of a clinician who supports FBT, you will most likely be able to help your daughter restore her weight and overcome her ED symptoms as an outpatient. Most residential facilities teach prinicples that are counter to FBT (telling parents to back off, teaching the patient to search for “underlying issues,” etc), so I would avoid going the residential treatment route. If a higher level of care becomes necessary, a better option would be an inpatient stay at a hospital for medical stabilization and to jumpstart the refeeding process, then continue FBT at home after discharge. Kartini clinic is fantastic and I recommend it highly. 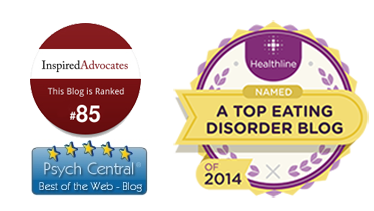 They practice evidence-based, family-based treatment and have a very good success rate. I’d be inclined to see eye to eye with you here. Which is not something I typically do! I really like reading a post that will make people think. Also, thanks for allowing me to comment! Such a good post… I agree 100% with everything you have written here Sarah. I was diagnosed with Asperger’s syndrome AFTER weight gain, weight maintenance and adherence to healthy eating patterns. The difficulty I had before I recovered was that clinicians only tackled the low weight; there was absent or inadequate follow-up therapy. For someone with a co-morbid condition that ‘feeds into’ their ED, long term follow up therapy is vital, otherwise the person is vulnerable to relapse into anorexia nervosa because of inadequate coping behaviours.